‘The trouble with words is that you never know whose mouths they have been in’, said the wise Dennis Potter. But for Angela Merkel, re-used (i.e. plagiarised) words are becoming a liability. She has a knack of appointing ministers with dodgy PhDs. Now it is the turn of the Minister of—wait for it—Education, responsible for universities and research funding. Annette Schavan has just resigned after a committee at Düsseldorf University ruled that she be stripped of her PhD qualification since much of her thesis, ‘Character and Conscience,’ was abducted from other sources including a recent Polish dissertation. 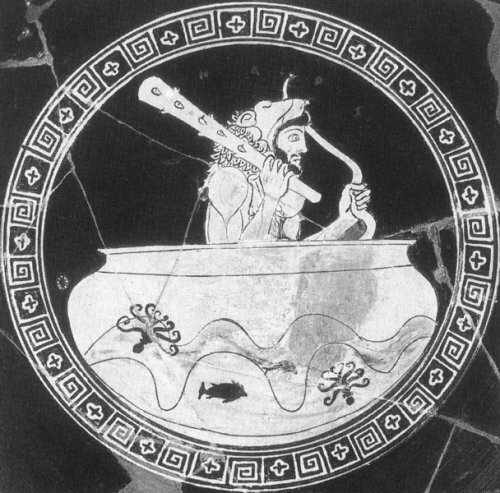 [The Chair of the special enquiry committee was an eminent Roman Historian named Prof. Dr. Bruno Bleckmann, who presumably knows about how to spot cheats and liars since one of his books is called Fiktion als Geschichte (Fiction as History)]. In Schavan’s case, the plagiarism was outed by an anonymous blogger widely believed to have been politically motivated. Schavan is very unpopular with the Y-chromosome bearers in her own party, who use her unmarried status and fondness for privacy to spread rumours that she is a lesbian. 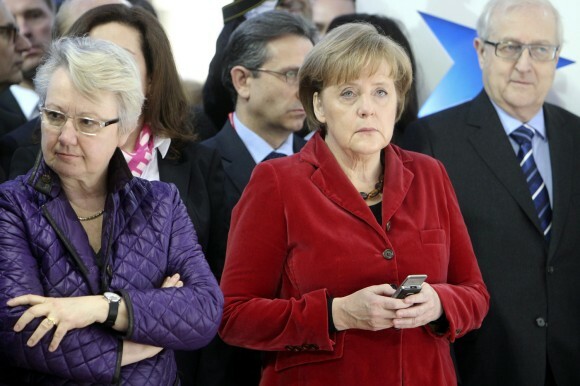 Even her friendship with Merkel has attracted sniggers. What this means, of course, is the 21st-century way of bringing down political enemies is not to enquire about whether they have ever inhaled or had an affair, but to go through all their student writings. Having been in Higher Education for too many decades, I can confidently predict that many more ripped-off theses slapped together by ambitious politicians await to be exposed. Meanwhile, a word of advice to current undergraduates. Almost all the culprits I have busted for plagiarism over the last two decades have given themselves away by using a long and interesting word or a correct syntactical or grammatical form. If you are going to use words that were formed in other people’s mouths, then you need to rewrite them to sound as if they have come out of the mouth of a modern undergraduate. This kind of dumbing down takes time and intellectual effort. It is HONESTLY quicker to write your own words. And if you ever want to go into politics, it is certainly less likely to get you sacked. The Latin verb from which plagiarise is derived is violent, meaning 'catch a human in a hunting net and kidnap them for the slave trade’. Just got back from a week in Germany, which is why I'm late to the (non)discussion, but can offer some more information on the two cases. They're actually even more different than you suggest. The issue with von/zu/zwischen Guttenberg is not just one of blatant plagiarism, it's also the fact that most of it was put together by research assistants who were supposed to be assisting with his parliamentary and government activities. You need a doctorate to qualify for high-level legal positions in Germany, so this was clearly illicit practice for personal gain. Schavan is a very different case, as she was an academic theologian at the beginning of her career. She certainly wrote the dissertation herself, and its faults (according to the detailed discussions I've read in Die Zeit) are those of sloppy referencing and in particular offering chunks of text as paraphrases rather than marking them as quotes (even if the source is then cited in footnotes). Poor note-taking, in other words, failing to distinguish between exact transcriptions and summaries and then carrying that over into her own text; no evidence of intent to deceive, no actual cut'n'paste (the dissertation was written in 1980, long before such things were possible), the sort of thing we'd easily pick up in student work today using TurnItIn, but would (I think) consider to be at the lower end of any spectrum of seriousness. Given also that the university's enquiry committee included only a couple of subject specialists (out of 14) and a number without any higher qualifications at all, I can see why she's embarked on a legal appeal against the decision. As you say, the situation is murky. 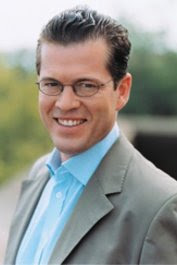 Schavan, as someone with (at the time) a proper PhD, was one of the first in the CDU to say that von Guttenberg should resign after his plagiarism was revealed, and his admirers have never forgiven her. The plagiarism accusations against Schavan emerged from a website that has a track record in politically-motivated plagiarism accusations. I personally think Schavan has been persecuted. She cited all her sources at the end of the relevant introduction to her dissertation. At worst, she is guilty of taking her cue on appropriate citation protocol from her doctoral supervisor. Which Goddess is Trying to Get in Touch?